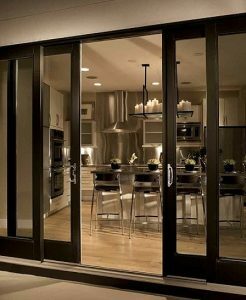 For simplicity’s sake, we will talk about the most popular types of sliding doors that are available on the market. 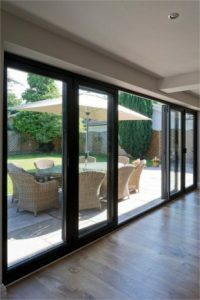 In this article we will not only talk about the different types of sliding doors, but also the typical sliding door prices for each type of external sliding door. First we will look at the type of door that is present seemingly everywhere. We are talking about the plain, normal front entry glass sliding door. These type of doors are often referred to as bypass or gliding doors. The bypass reference is due to the sliding doors being set into different tracks so that the doors can slide past each other when opened or closed. However, sometimes, with a 2 panel set, 1 of them may be fixed into place. There is no real limit on the overall width of an installation, but a 2 panel set of inline sliding glass patio doors will be around 1600mm at its smallest and go up to around 3000mm before you have to go to a 3 panel setup. Sliding doors should always be fitted with anti-lift tracks and locks that will not fail if a burglar tries to lever the door out of its tracks. The unique feature of bifold is that as they slide, the door panels concertina and “fold” to the sides of the opening. This gives possibly the widest clear opening of any sliding door type. The weight of the door can either be taken by a ground level rollers or, in the case of “top hung” bifold doors, the weight is borne by the overhead track – very useful in cases where homeowners want an extremely smooth, level interface between the interior and exterior of the property. There are of some of the better looking glass sliding doors available on the market. These bifold doors are work best in wider apertures and are renowned for their aesthetically pleasing nature. You will have to pay more than the “average prices” to purchase this type of high quality glass sliding door. But, whilst they are more expensive, they are certainly better looking than traditional sliding glass doors. Technically, it’s not really a set of classic French doors, but a 4 panel set of sliding patio doors, where the 2 centre panels slide away from each other towards the side of the opening and the 2 outer panels are fixed into place. To further give the impression of being a true French door, you may also see glazed inserts used to create the mullioned window effect synonymous with French doors. An interesting design, best used for large patios. A telescoping patio door will consist of three or more panels. These panels can all slide past each other, which will give the home owner greater versatility. Along with the French Sliding door, the telescoping patio door is one of the more contemporary designs. Perhaps the only disadvantage to this type of patio door is the large, wide track. With so many panels, there will obviously be a wide track to fit all of them. 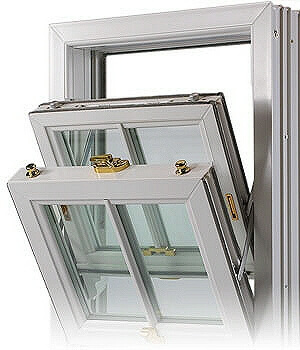 Effectively a very big tilt & turn window, with an extra function. As with the window version the moving panel can be opened like a door and also tilted back from the top so that it “leans” into the room. The added feature is that the moving panel can also be slid to the side in the same way as an inline sliding patio door. You cannot, however, slide the door when tilted. 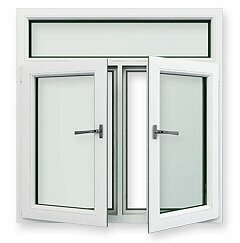 The distinct advantage of the tilt feature is that you can have the patio doors closed, then tilt one door inwards and create secure and plentiful ventilation. Each type of sliding door has its own scale of prices, but will have some basic factors in common when it comes to how the prices can be influenced. Size: The bigger, the costlier. 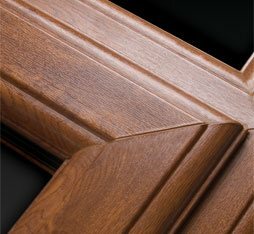 Material: Aluminium would tend to be the costliest, then hardwood, uPVC or hardwood veneer. Conclusion – which is the best sliding door? As they say, “it’s horses for courses”. But having said that, there are a few situations that lend themselves more to one type of door than another.What we mean by that is, for example, in a small aperture, sliding doors may not be suitable at all. You could be much better off by fitting French doors. French doors give you a full width opening, but a sliding door stays in the frame and takes up half the opening space. 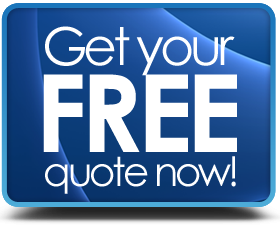 You also need to think about the material to use – do you want aluminium, timber or uPVC sliding doors? Bifold doors are our favourite, and in our humble opinion, for a wide opening they just can’t be beaten on appearance or function. Take some time to consider how you plan to use the doors, are they there for occasional use or will they need to cope with lots of “traffic”? Are they going to be easy enough for everybody in the family to use (children or elderly persons)?